My ecommerce brand just hit a major milestone: $1,000,000 in upsell revenue! 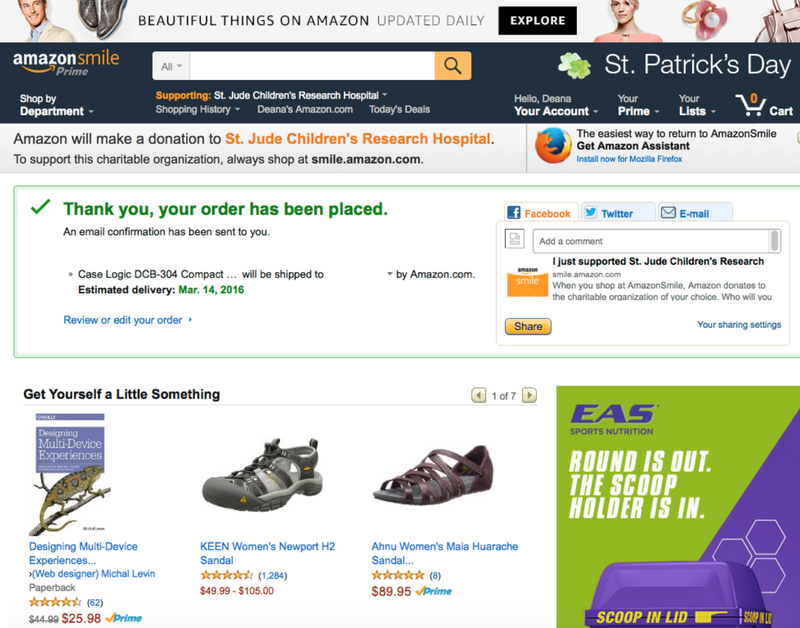 And we did it using a post-purchase upsell tool we developed called OneClickUpsell. New Term Alert: A “post-purchase upsell” is any offer you make after a person makes a purchase. For example, 26.5 million people bought something from Amazon today, and they all received a post-purchase upsell on their Thank You Page. See that “Get Yourself a Little Something” section right there? Yep, those are upsells. But we knew that would hurt conversions, so that’s why we created OneClickUpsell (or OCU). Instead of directing them to a Thank You Page after they purchase, we direct them to a custom upsell page where they can add a second product without re-entering their payment info. 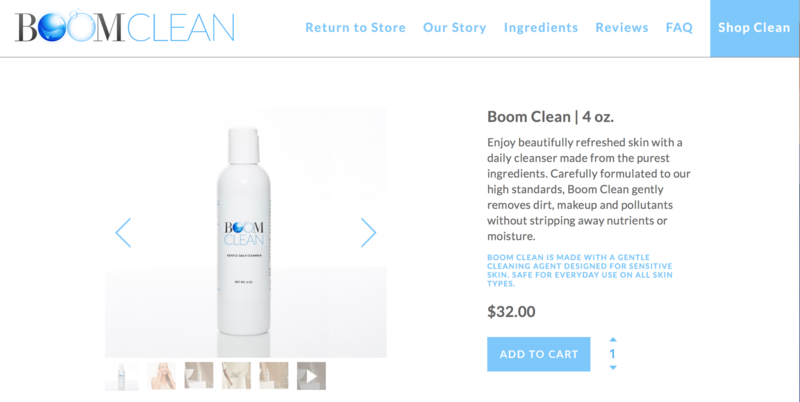 What’s the first lesson we learned from selling $1,000,000 in upsells? We tested a ton of upsell combinations on our store — and we looked at the 5,000 other stores that use OCU — in order to find the highest-converting upsell of ‘em all. The top-selling, most-requested upsell was always one more of what they just bought. And that’s good news for you, because that’s one product you know you already have. During a new product launch for my cosmetics brand, BOOM! by Cindy Joseph, I sold 3,000 units of a $35 facial cleanser. Roughly 800 of those were sold as upsells at a 15% discount. So 28% of everyone who bought a bottle at full price wanted to buy a second bottle if it was on sale. That made me an extra $20,825 on this launch alone just by offering upsells (which are 100% automated, by the way). Here’s something I didn’t know: 10% of people who buy your first upsell will also buy a second upsell. It’s true. I’ve seen it again and again in my 8-figure Shopify store. Rewind back to that last product launch: 800 people bought my first upsell of another $35 cleanser, right? So I offered those 800 people a second upsell: a $39 moisturizer. And 25% of those folks took it. That’s an extra $6,000 in “upsell upsells” — on top of the extra $20,000 we made on the first upsell. So the lesson here is if you’re going offer an upsell, definitely offer a second upsell to everyone who says yes. Two upsell offers and one downsell offer for every product. New Term Alert: A “downsell” is the offer you make next after a customer declines an upsell. Of the $1,000,000 in upsell revenue that our Shopify store has made with this app, $110,000 (or roughly 10%) of it has been from downsells. That means 10% of all customers who decline an upsell are still interested in adding more products to their order — and spending more money — before leaving. All of it creates extra revenue for your business just by installing an upsell tool. People want to be offered extra products with their purchase, so don’t be rude and not do it! 5,000 Shopify store owners and counting have installed the OneClickUpsell app to automate these same post-purchase upsells for their store. And on average, each store experiences a 10-15% increase in total revenue beginning the very first day. It’s easy to create custom upsell funnels for every product in your store, and in-app analytics help you optimize these flows for even more sales. Click here to learn more about OneClickUpsell and start earning an extra 10-15% today.